The values and structure of our society have changed enormously in the course of the last few decades. Nowadays, 50% of students are women. Now and in the future not only men, but also women pursue a career. However, childcare has not been able to keep pace with this social transformation. The range of professional and suitable childcare on offer is much too small. The result is a high degree of unwanted employee fluctuation. Companies have realised that they need to deal with this problem. Therefore, paid childcare is not only an investment in your employees, but also in the future of your company. This who save on child day care, save on the education of the next generation – the next generation is the future of our companies. Childcare does not belong to the core competencies of most companies. 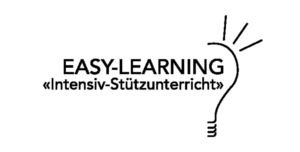 That is why we offer you, in cooperation with easy-kid-care, a complete outsourcing of this area. We take on the entire project management. From processing the needs analysis, to implementing and managing an internal institution within the company, and right up to the inspection of the results and quality control. Each company has different goals, company cultures and a different size. 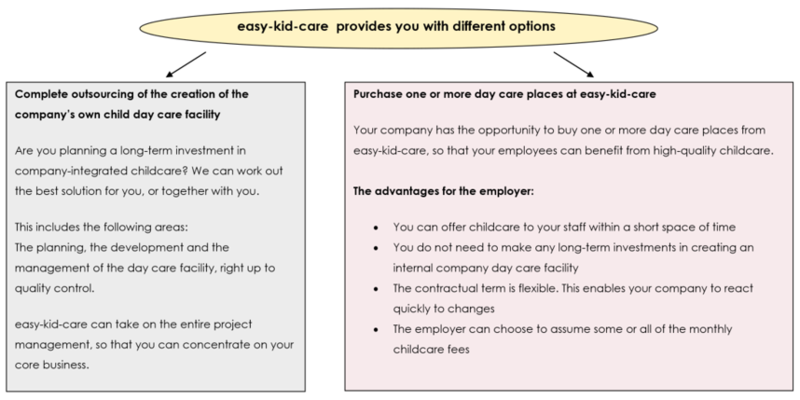 When choosing childcare for your employees it is important to select the version that best suits your company and its characteristics.